Dr. Björn Regnell is Professor in Software Engineering and Vice Dean of Research at the Faculty of Engineering, LTH, Lund University, Sweden. He has contributed to several requirements engineering research areas including empirical requirements engineering, quality requirements, software product management and empirical research methods in software engineering. 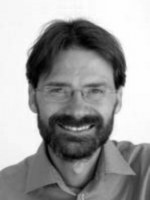 He was ranked among top 13 scholars in the world in experimental software engineering in IEEE Transactions on Software Engineering, 31(9):733-753 (2005) and was awarded the Lund University Pedagogical Prize for outstanding achievements in teaching (2005). Prof. Regnell has been Program Chair of International Working Conference on Requirements Engineering: Foundation for Software Quality (REFSQ) 2012, International Conference on Software Business (ICSOB) 2011, and a continued member of the Program Board/Committee of International Requirements Engineering Conference (RE). He is/was a reviewer for several high-impact journals and peer-reviewed conference program committees including International Conference on Software Engineering (ICSE) 2013. Prof. Regnell has published more than 80 peer-reviewed articles in journals and conferences. He has edited several special issues in journals and proceedings and he is co-author of several books including the widely cited "Introduction to Experimentation in Software Engineering" (Springer, 2000) and "Case Study Research in Software Engineering - Guidelines and Examples" (Wiley, 2012). Prof. Regnell worked part time as Senior Researcher at Sony Ericsson, CTO Office, Lund, Sweden 2005-2007, and he works as expert consultant in software engineering for the Swedish software industry.